Lee Armentrout, 103, an arranger, copyist and trombonist, died last Oct. 21. He had been a Local 802 member since 1938. Mr. Armentrout studied piano as a youngster, later taking up trombone in high school. In Chicago and elsewhere, he earned an enviable reputation as a Prohibition-era musician. He arranged music for Jack Teagarden, Ted Weems, Bonnie Baker, Gertrude Neisen and Russ Morgan. In the early 1940s, he was music arranger for a CBS radio show with Ben Bernie. After a couple of years as music arranger for the Chicago Theatre stage shows, he became staff arranger for WBBM Radio where he worked with conductor Caesar Petrillo. He then moved to NBC to arrange for Alec Templeton and for the Sheaffer Pen Show. Mr. Armentrout went on to become a producer and director for WBBM, a job that lasted nearly 20 years. He also served a four-year stint as president of Talent, Inc. and as a recording director at Wilding Film studios. While at WBBM, he produced the popular Paul Gibson talk show, including segments from major European capitals. For most of the 1970s, Mr. Armentrout was with WBBM-TV as floor manager for several programs including the Lee Phillip Show and the evening news with Bill Kurtis and Walter Jacobson. An art lover, Mr. Armentrout spent his retirement years painting, studying and traveling. He is survived by his daughters Jeanne O’Steen, Dale Armentrout, Lynn Armentrout and Jill Armentrout as well as his friend and former wife Louise Austin. He is also survived by six grandchildren, 10 great-grandchildren and six great-great grandchildren. 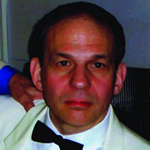 Barry Finclair, 67, a violinist and a longtime member of Local 802, died last Oct. 23. Mr. Finclair attended the School of the Performing Arts, Juilliard, Mannes and USC, and studied with Dorothy DeLay, Itzhak Perlman, Ivan Galamian, Jascha Heifetz, William Kroll and David Nadien. His awards and prizes included first place in the Merriweather Post Competition. During his long career, Mr. Finclair was a member of the New York Philharmonic, first appearing with the orchestra at age 13 as soloist on the nationally televised Young People’s Concerts. He was also an associate musician with the Met Opera, and performed as a soloist and in ensemble with other orchestras as well. 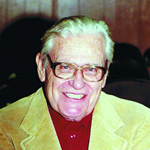 Mr. Finclair was frequently heard on stage and in the studio with artists from across the musical spectrum, contributing to hundreds of recordings and film scores. He is survived by his wife, the soprano Ida Faiella, his stepdaughter Cristina, and Cristina’s husband Robert. Contributions in his memory may be made to L’Ensemble, a chamber orchestra group where Mr. Finclair was a core member since 1973. See www.lensemble.org or call (802) 442-0986 or (518) 475-9001. Also, read a tribute letter to Mr. Finclair in this issue. Robert Maxwell, 90, a harpist and a Local 802 member since 1938, died last Feb. 7, 2012. 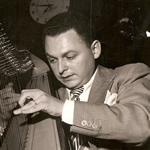 Born Max Rosen, he and his two brothers, Abe Rosen (1916-2007) and Myor Rosen (1917-2009), all played the harp professionally. Mr. Maxwell was born in New York City. Neither of his parents had been involved in music, but at age 10 he began playing the harp. In high school, he won a scholarship to Juilliard. At age 17, he became the youngest member of the National Symphony Orchestra. He also gave solo performances in both New York and Los Angeles. Among the conductors he performed under were Arturo Toscanini and Serge Koussevitsky. During World War II, Mr. Maxwell enlisted and performed in the well-known Coast Guard band led by Rudy Vallée, giving him the opportunity to play harp in a popular music context. Later, Mr. Maxwell entered a contest on radio station KFI in Los Angeles, failing to make the finals but winning second prize. This led to many appearances on radio, television, and in the movies, including one summer as replacement for Frank Sinatra on the CBS network. Mr. Maxwell was also a composer. “Little Dipper,” “Ebb Tide” and “Shangri-La” were three of his better-known pieces. Another of his songs, “Solfeggio,” performed by Mr. Maxwell’s orchestra and the Ray Charles Singers, gained unexpected fame as the theme for Ernie Kovacs’ regular comedy skit called “The Nairobi Trio.” Mr. Maxwell is survived by his wife June, daughter Carla, and grandchildren Vanessa and Omar Guerrero.